The second semi-final match saw Travieso (Teo Calle, Sebastian Merlos, Mariano Gonzalez, Alfredo Capella) face Valiente (Bob Jornayvaz, Matias Torres Zavaleta, Diego Cavanagh, Adolfo Cambiaso) to determine which team would face Orchard Hill in the final on Sunday. After their first loss in 26-goal events last week, Valiente bounced back in a big way, dominating play from the first throw-in. Cambiaso found Cavanagh on a nice pass to open the scoring, and that goal was quickly followed by Cambiaso scoring from approximately 70 yards out. Cambiaso wasn’t done there, as he added another goal to give Valiente a 3-0 lead. Hard work from Cavanagh providing picks and blocks for Cambiaso was making a huge impact as Cambiaso had more space than normal and given the time, there may be no better player at picking an opposing team apart from the back position. To go along with 3 goals of his own, Cambiaso helped set up Cavanagh for two goals from the field as well as Zavaleta for one goal as Valiente stretched their lead. Cavanagh added three penalty goals to give Valiente a 9-3 lead heading into halftime. 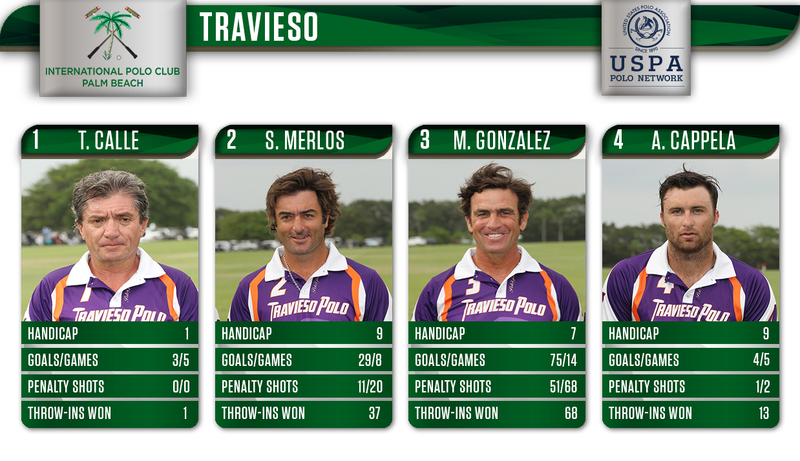 Travieso was led by Mariano Gonzalez scoring all 3 goals, 2 from the penalty line and 1 from the field. But as a team Travieso was struggling to get to Cambiaso to provide pressure, and when they did he often found Cavanagh or Torres Zavaleta downfield. 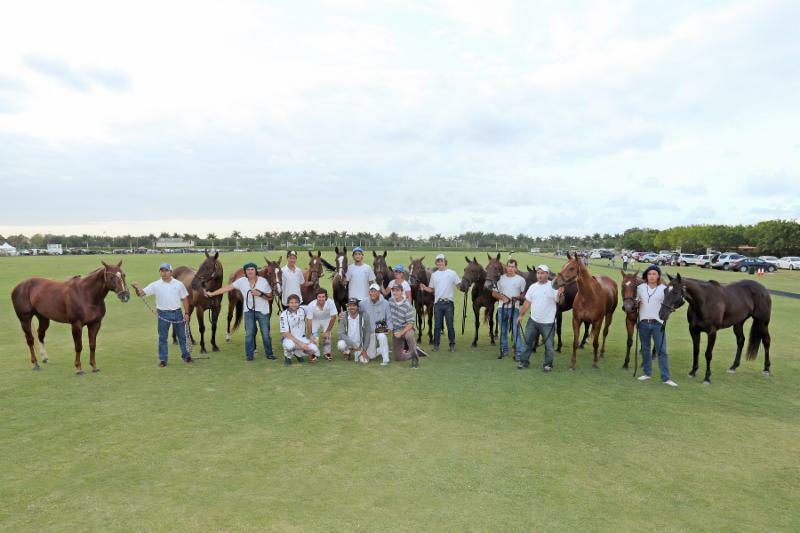 Valiente continued the pressure to start the fourth chukker as Adolfo shot from over 100 yards out to put one through the post and Travieso had no answer for the balanced Valiente attack that seemed to be moving straight downfield with each attack. 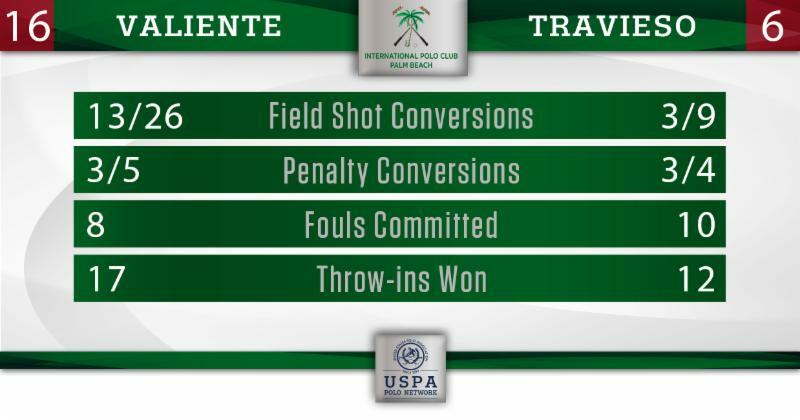 A nice goal from patron Teo Calle got Travieso on the board to start the fourth chukker as Travieso picked up a bit of momentum. Gonzalez made an amazing save on the goal line, taking the ball out of the air on a long Cambiaso shot. But after Gonzales driving it downfield, Cambiaso stole the ball and promptly ran it in for his fifth goal of the day. 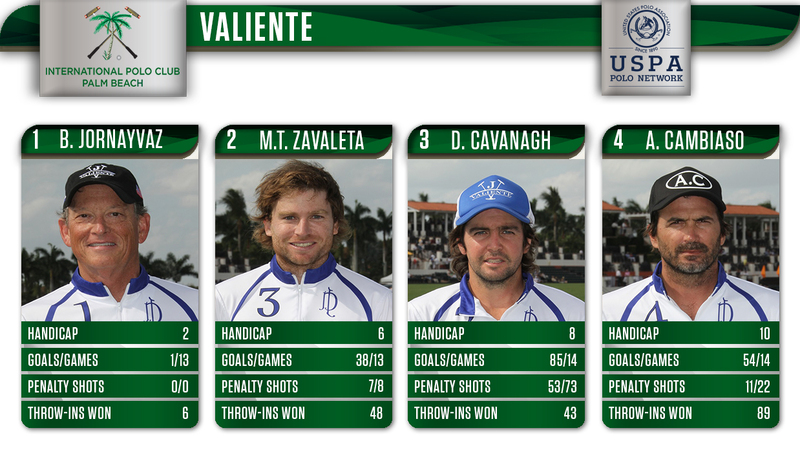 Valiente was too much from the start as they outshot Travieso 26-9 and never allowed them to make a run. Seven goals from Cavanagh, 6 from Cambiaso and 3 from Torres Zavaleta resulted in a big 16-6 win for Valiente, setting up a rematch of the 2016 U.S. Open final against Orchard Hill. The final takes place Sunday at 3 p.m. All games in the 2017 US. Open are being live streamed on the USPA Polo Network: uspolo.org.